We originally tried to get to Portugal a bit earlier back in December, but due to family reasons, we were unable to make it. This time our trip was almost canceled as well because of an error made by TAP. I would suggest always double checking your bookings when flying with TAP since their online system is sub-par and leaves no room for error. Anyway, we made it to Porto and embarked on our weekend. Still amazed we never made it to Portugal earlier, but it’s not exactly the easiest place to get to, but none the less I booked these cheap tickets after I drank about 15 beers. Yes, when I’m tipsy, I book plane tickets. 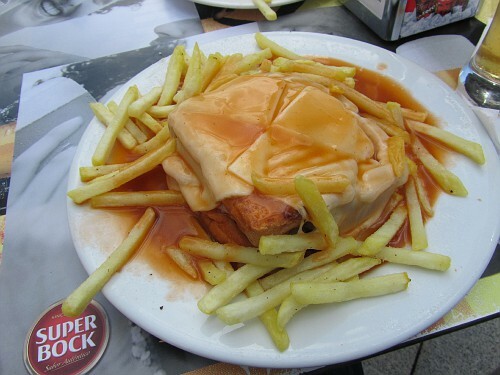 Landed in Porto, walked around town a bit since it was late and not much to see, and ended up getting one of those famous sandwiches called the Francesinha. It’s considered one of the top 10 sandwiches in the world, and Porto is the only place you can find it, at least a real one. It was tasty, but then again anything would be at 1am when you’re starving. Crashed for the night, and started our weekend. 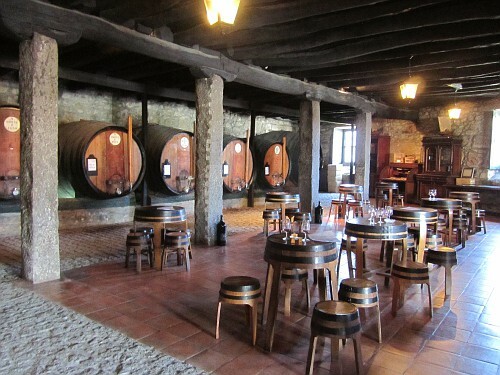 While in Porto, of course you have to do what else, port tastings. Annemarie is pregnant of course, but did that stop me…no! I think I hit about 5, and ended up bringing home a bottle from Croft, which was my favorite. Completely different from wine tasting, and gets you loopy just a tad faster. We had quite a good time, definitely more me than her, but we can’t win them all. 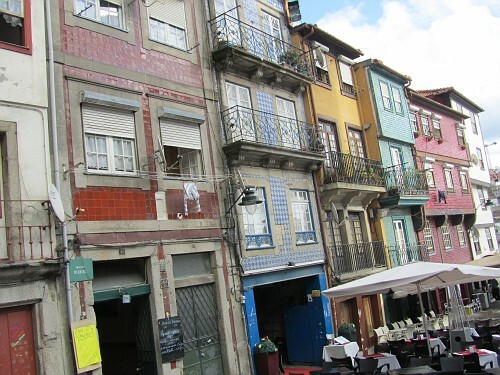 We proceed to walk around the area, Villa Nova de Gaia, for the rest of the day. It’s actually a different town than Porto, but they stare at each other with only the Douro River separating them. I honestly think most tourist spend most of their time sitting on either side of the river staring at each other, since it’s prettiest part of Porto by far. We followed suit, and spent the rest of the day sitting at a cafe with beanbags, and just relaxed with drinks staring that river and the bridge that you can’t ignore. 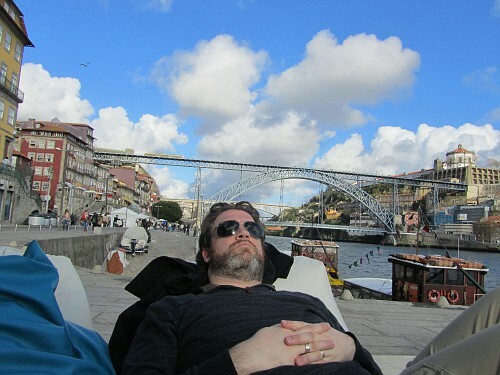 Our trip to Porto was quite short, only about 40 hours, but I drank enough port to have a reason to visit again, and hopefully travel down the coast to Lisbon as well. On to the next country as always…Norway!